A cornerstone laying ceremony was held for Shaughnessy Park School in August 1950 but construction was not completed until 1951. In the meantime, classes were held at Florence Nightingale School. 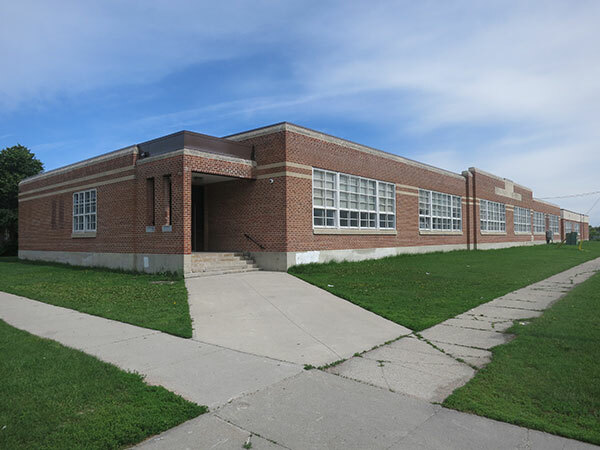 In 1962-1963, the facility was given a $196,000 expansion that included 16 classrooms, a general purpose room, and administrative and staff space. “The cornerstone ceremony [...],” Winnipeg Free Press, 18 August 1950, page 3. “Sargent Park School ground grows with street closing,” Winnipeg Free Press, 19 July 1950, page 3. “Record classes expected to crowd city’s schools,” Winnipeg Free Press, 23 August 1950, page 14. “Space shortage causes much shuffling of pupils,” Winnipeg Free Press, 29 December 1950, page 3. “City’s School Board is like woman who lived in a shoe,” Winnipeg Free Press, 28 December 1951, page 3. “Schools may need $7 million,” Winnipeg Free Press, 20 June 1962, page 3. “Juba,” Winnipeg Free Press, 21 September 1963, page 13.